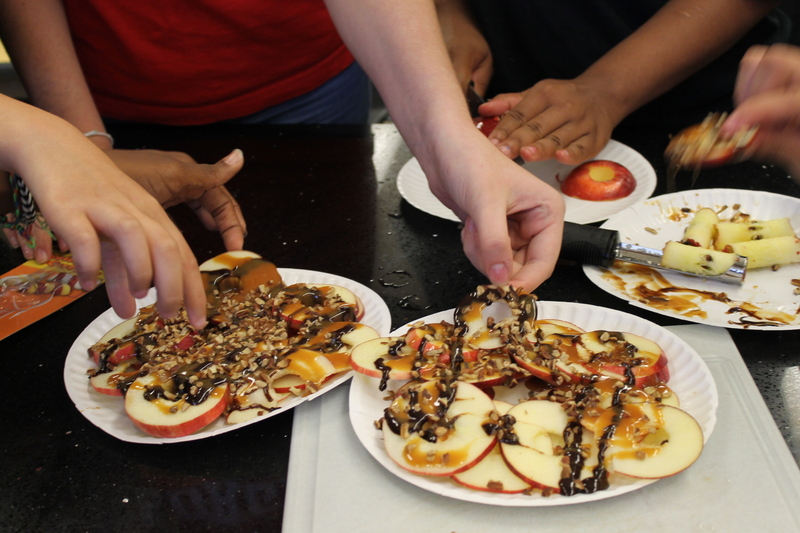 Apple nachos are a hit for garnishing. 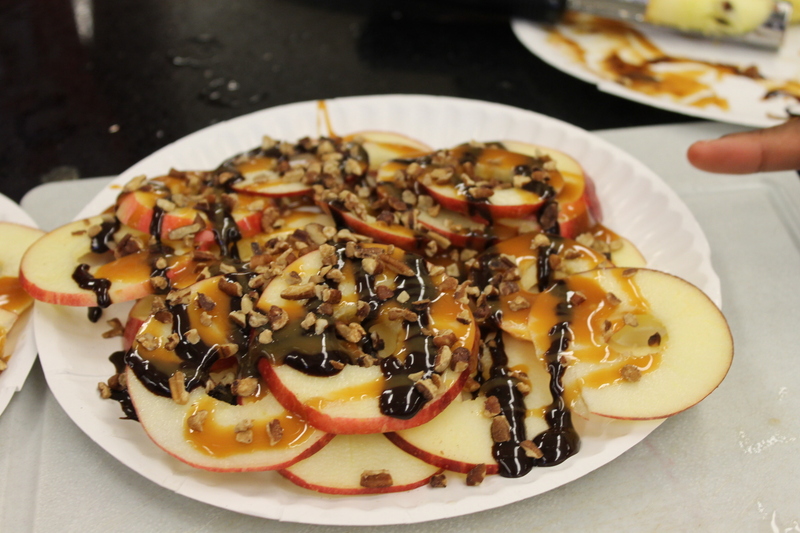 Foods 2 finished up one last garnished treat of sliced apples topped with chocolate, caramel and nuts. It’s a treat gone mad. 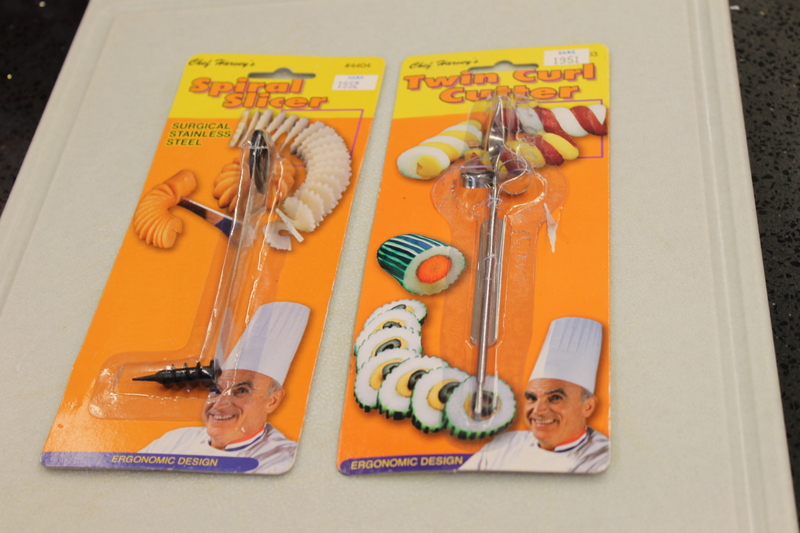 We weren’t successful with these tools, but a good old-fashioned apple corer and a chef knife to thinly slice the apples work great.